After 72 years of contributing to local and regional research, AgResearch’s grazing and arable Research Station at Winchmore, North-West of Ashburton, is to be sold. Winchmore was originally purchased in 1946, with a focus on providing local research into the use of border dyke irrigation. Long-term fertiliser trials were started in the 1950s and together the site has contributed to more than 500 science publications. AgResearch Director of Infrastructure John O’Dea said projects and priorities have changed in recent years, when more research has been conducted on commercial farms or small-scale intensive research. The 4.1-hectare fertiliser trial has been in place since the 1950s, and will continue operating beyond the sale of the farm. The Fertiliser Association of New Zealand has signed a 35-year lease with AgResearch to ensure the long-term fertiliser research trials at Winchmore continue. Chief Executive of the Fertiliser Association of New Zealand, Vera Power, say the site has been providing extremely useful information for almost 70 years. Winchmore’s fertiliser trials are New Zealand’s longest-running fertiliser trials under pasture. They complement the other long-term fertiliser trial, on North Island Hill Country, near the Manawatu Gorge. “The combination of Lismore soils and spray irrigation at Winchmore will enable a wide range of future cropping and grazing options. Modern de-stoning technology now means the stony Lismore soils are regarded as some of the most sought after and productive soils for intensive vegetable and arable production,” Mr O’Dea says. Crops on farm this season include potatoes, wheat, barley, maize, peas and specialist seed crops, with a small area retained in Lucerne and permanent pasture. Historically, the farm had limited winter-forage cropping and was primarily used as a grazing property. 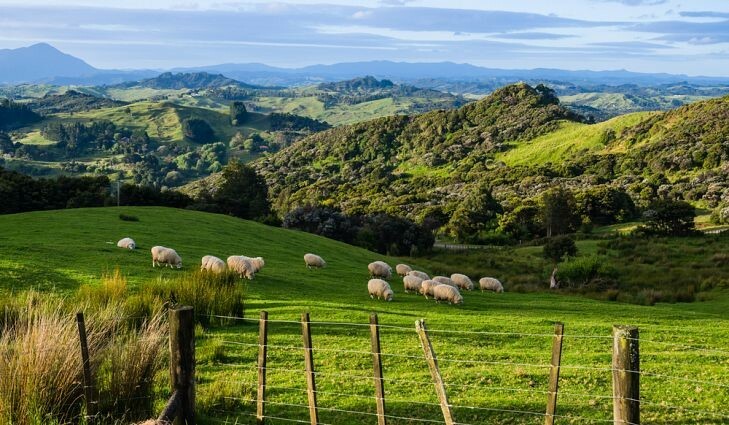 Originally 308 hectares, the farm is being subdivided into two parcels, either side of the Dromore Methven Road, with the larger parcel of approximately 247 hectares to be sold on the open market. Winchmore provides a range of buildings from offices, meeting rooms, workshop and implement sheds, to a woolshed and covered yards, and a new set of cattle yards with a concrete base. The farm will be offered for sale by deadline private treaty, with offers to be received by the end of February (if not sold prior). In 2017, Winchmore’s irrigation was upgraded from border dyke (flood) irrigation to overhead sprinkler irrigation, in line with the transition across Canterbury to more water efficient irrigation systems. The sale of Winchmore would enable AgResearch to invest in its wider research facilities, and thus continue driving prosperity by transforming agriculture, Mr O’Dea said. © 2017, The New Zealand Institute of Agricultural & Horticultural Science Inc.